It is great to be able to work close to home, but this one is literally just a stones throw away. We love old industrial buildings and were delighted when we heard that The Pumphouse in Barry was going to be redeveloped, as it is an iconic building. 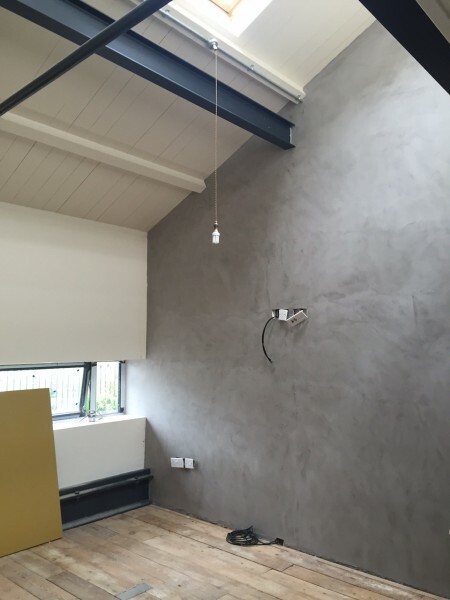 So it became a mission to get some of our decorative concrete Microscreed in to the building and we are very grateful that the developer gave us the opportunity to apply this versatile product to the walls in some of the exclusive private apartments. There is still a bit of work to be done, but the high standard of finishing will ensure that this project is a great success.